Are you looking for productivity improvements for your website? Then you should try following WordPress plugins to improve productivity of your website. Making a website work is not quite easy. You have to undergo multiple steps in order to make a good quality website. It should have feature sets that ensure whoever will visit it, will surely keep on coming back. And the site should have features that improve productivity at the back-end as well. To ensure this, you have to not only keep pouring new original content but you have to incorporate extraordinary features too in order to improve its productivity. In order to avoid hindrances along the way of your success, you need to apply some strategies that will help you in improving the productivity of your sites. 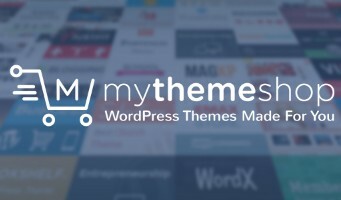 There are WordPress themes and plugins available which will surely be your keys to success. Though themes are always good to give an attractive look to your site, here are some of the WordPress plugins to which you can use to improve the productivity of your site. If you are not sure how to install WordPress plugins, you can read this detailed guide: 3 Different Methods to Install WordPress Plugins. Are you having problems about monitoring your blog looking for broken links? Now you no need to worry at all. Because you can easily find and check these broken links with the Broken Link Checker plugin. It will help you monitor your posts, pages, comments and even the blogroll. The Broken Link Checker will help you to identify your site’s broken links. Once the broken links are identified, you can easily fix. It is one of those really popular WordPress plugins and is easy to use. Checking for comments and contact forms in order to avoid spam. And to prevent your site from publishing malicious content, then Akismet should be part of your plugins’ squad. This plugin checks comment and contact form data submitted to your website. And it will ensure that your site is protected against the malicious contents submitted through comments and contact form. There is also an assurance that there will be an automatic filtering of possible spam. Just don’t forget the needed key in order to use the plugin. Another plugin that will help you improve the productivity of your site. It that replaces HTML editor with buttons and other features for WordPress. if you found HTML editor default to work with. Then you can give this plugin a shot. You can use it along-with the visual editor and you can easily save posts. And the good news is that it is an open source software and completely free to use. The Smush Image Compression and Optimization is a plugin that will incredibly give you powerful results when it comes to resizing, optimizing and compressing your images. If you are having problems with large image files in WordPress. Then this plugin is a must for you to resize the images while retaining the quality. It will automatically keep on scanning the images you will upload or add to your site. And will optimize these images for best results. Does your site have the style that will attract your visitors? The more attractive your site is, the more productive your site will be. Sometimes plugins are really important. And when it comes to functionality and productivity, plugins can do magic. With help of plugins, the person with little know-how about coding can manage to get decent results. The plugins listed above will not only improve site productivity but in some cases, they will help you save a lot of time. Do let me know which plugin is your favorite on the list? This post is written by one of our guest author Deep Wadhwa. He is a Digital Marketer & CEO at BloggersDog.Com. He is being into Digital Marketing for the last 4+ years. Apart from work, he is a lyricist, guitarist, singer and a sports freak.